Our friends over at PHS, the Delaware River Waterfront Corp, and Old City Civic are hosting a kick-off happy hour for the Friends of Race Street Pier. Come learn more about the soon-to-be park Jan. 18 starting at 5:30, at the Race St. Café, 208 Race St. Let us know what activities you want at the park and how you can get involved. 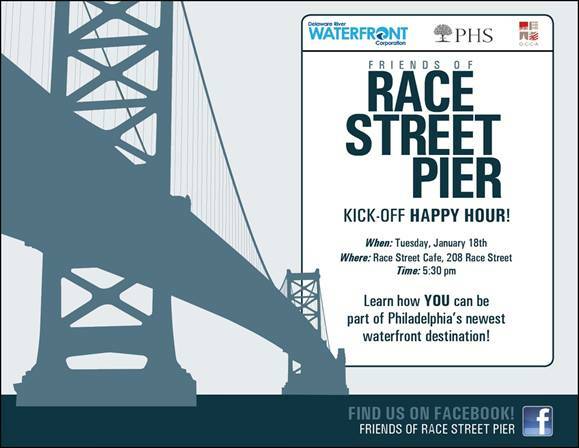 Drop in for a drink and appetizers, and meet others who want to be a part of Philadelphia’s newest waterfront destination.